Description Branches.pk is the ultimate business directory in Pakistan. Whether you’re looking for a bank branch, restaurant, hospital, a clothing brand, or any other type of business in a particular area, you can easily find it on Branches.pk with complete address and contact information. The website lets you search by keyword, location, and category for best possible user experience. 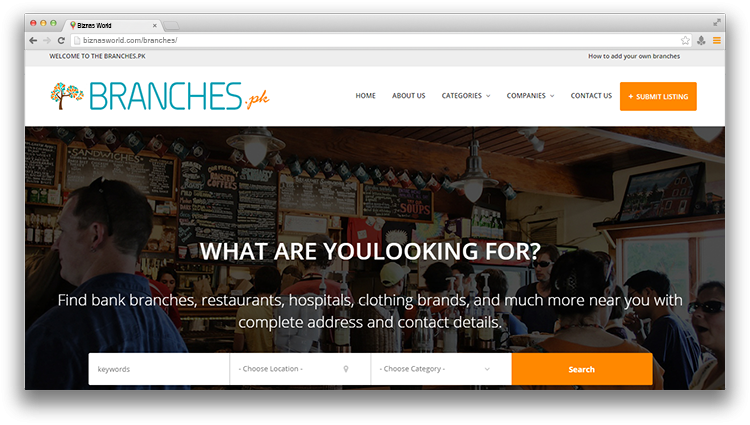 Branches.pk is a growing community of businesses and customers helping each other and millions of our website visitors find the best of what they’re looking for.